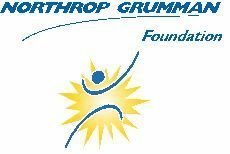 WASHINGTON, March 21, 2012 -- The Northrop Grumman Foundation this month announced a founding grant of $1 million to the University of Virginia Darden School of Business' new Initiative for Business in Society (IBiS). Launched last November, the Initiative's research "Center of Excellence" will explore the issues that affect the dynamics between business, government and society, and focus on corporate commitment to value creation, responsibility and accountability. "Establishing a culture of ethics requires enlightened leadership, perseverance, commitment and engagement," said Wes Bush, chairman, chief executive officer and president of Northrop Grumman. "We are pleased to support the Initiative for Business in Society, to advance thought leadership in support of these principles." "We must shape a conversation within the profession of management and a research agenda that are not just about government, but about the deep forces of change within society, to which governments and businesses must attend," said Darden School Dean Bob Bruner. Focused on the intersection of business and society, IBiS will explore how government and business can work together toward common goals, such as addressing risks and creating value for society, with the aim of restoring long-term trust in business as a force for social good. Â Through a combination of case writing, curriculum, external outreach and academic research, IBiS will create a cadre of executives who understand the new dynamics of business in the 21st century and who, through their example and leadership, will make an impact on how business is conducted in a global economy with divergent interests and stakeholder demands. Alongside other founding contributors, Northrop Grumman leadership will serve on the IBiS advisory committee, supporting faculty development of curricula touching on the most pressing issues for business today. The center will develop courses and host conferences and events with business and academic leaders who will collectively provide insights, strategies and leading practices. IBiS will develop new case studies that will be published and broadly distributed by Darden Business Publishing and used in classrooms around the world. IBiS programs and deliverables are intended to promote broad engagement with Darden students, Darden Executive Education, the IBiS Advisory Council and all interested business leaders and members of the public who wish to participate in IBiS programming.